Recycled Content: 78% post-industrial recycled polyester. Reduced Emissions: Greenguard and Greenguard for Children & Schools certified for indoor air quality. Incredibly durable and made partially from recycled materials, but still soft and flexible. 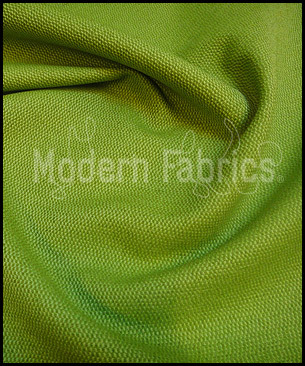 This two-toned lime green fabric will work great for upholstery, pillows, and duvets.